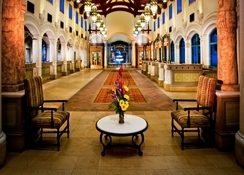 Designed in the theme of Spanish colonial Mexico, Disney's Coronado Springs Resort offers a unique stay in Orlando, Florida. 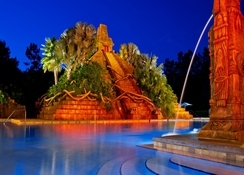 With a themed pool and waterslides, close access to Walt Disney World as well as the other main attractions in the area, this resort is perfect for families who want to experience the magic of Disney. There are four restaurants on-site alongside the largest whirlpool at Walt Disney World and guests can also avail of a range of benefits including a shuttle service to Disney theme parks. 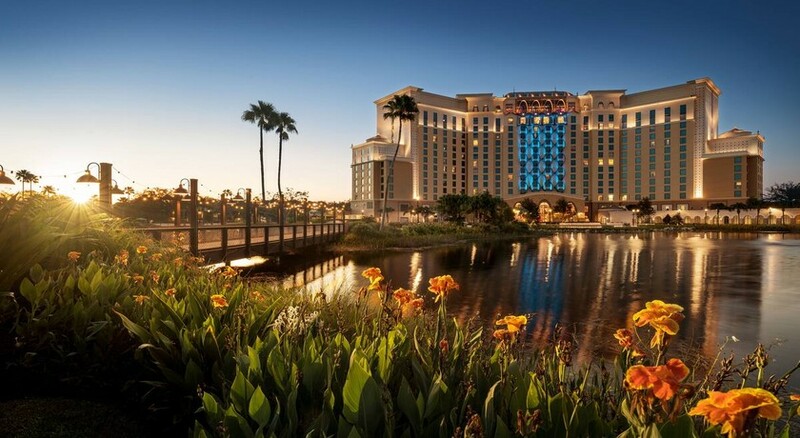 Disney's Coronado Springs Resort has a range of accommodation options from standard room’s right through to Presidential Suites and all come with great amenities to make your stay an enjoyable one. Disney's Coronado Springs Resort is located close to Disney’s Animal Kingdom, Epcot and Disney Springs. Walt Disney World is only 3 miles away and the resort is also close to SeaWorld (11 miles), Universal Studios (14.8 miles) and International Drive (13 miles). 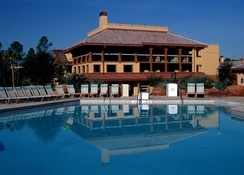 The nearest golf course is Orange Lake which is 6 miles away while it is 22 miles to the Orlando International Airport. 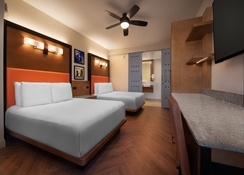 Accommodation at Disney's Coronado Springs Resort can sleep between two and eight people and there are 1921 rooms in total. Standards Rooms have views of the courtyard, parking lot or the lake and have two queen beds, there are King rooms that can sleep two people while the Junior Suites can sleep up to four adults. The Presidential Suite has its own dining and seating area and the spacious Executive Suite can sleep up to eight people. All rooms and suites have Wi-Fi, flat screen TV and tea and coffee making facilities. There are six different eating and drinking options at Disney's Coronado Springs Resort. Maya Grill offers tex-mex cuisine, Café Rix is open for breakfast, lunch and dinner with a wide range of snacks while the Pepper market is the on-site food court. Sips cocktails by the poolside at Siestas Cantina or the Laguna Bar and there is also a Sports Bar and Grill. 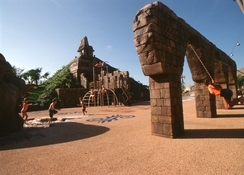 The giant pool with pyramid centrepiece and 123 foot long waterslide is a defining feature of this resort and there is also a kid’s pool, water playground and facilities for volleyball as well as a spa and fitness center. 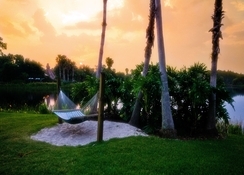 Guests can enjoy a Disney movie under the stars and there are several golf courses including Orange Lake and Falcon’s Fire which are just a few miles away. Lake Buena Vista Factory Stores are 7.5 miles away from the property.